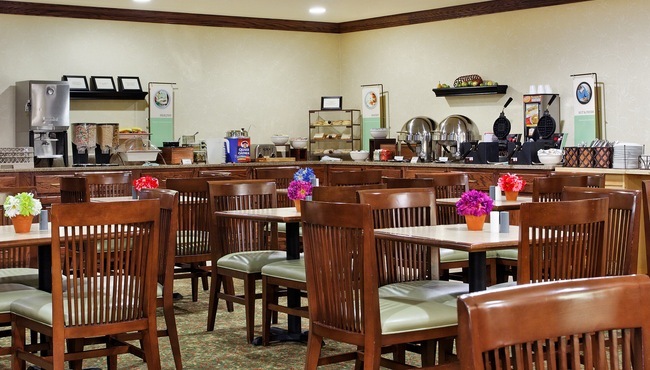 Before touring Southern Illinois University or heading out for a day at the office, stop in and fuel up with our complimentary, hot breakfast, offered each morning at the Country Inn & Suites in Marion. Pile your plate high with energy-packed favorites like sausage, eggs and Belgian waffles, or opt for a lighter start to your day with fresh fruit and cereal. Make lunch or dinner plans at nearby restaurants like 17th Street Barbecue and Sao Asian Bistro. Weekends & Holidays, 7:00 a.m. - 10:30 a.m.